Purplish red in color. 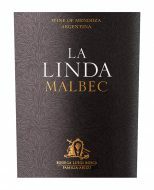 Bright and young, with very expressive aromas reminiscent of fresh red fruit and spices. It is straightforward and fluid on the palate, with lively tannins. Intense, pleasant, and fresh in the mouth. Juicy with excellent structure, distinctive variety characteristics, and a very-well integrated herbal note finish. "Intense notes of hot stone and underbrush emerge in this sinewy red. Dried cherry and currant flavors linger on the finish, with hints of coffee. Drink now through 2020."